Portion control is a very simple but not easy concept. Everyone today is looking for a short cut to allow them to eat what they want, but there are sadly no short cuts. Eat less and lose weight. Here is a few tips on how to do just that. Use a smaller plate or bowl when serving up your food and do not go back for seconds. Get the people you live with behind you. It’s almost impossible to do it alone. Ask for their help in cooking smaller amounts of food. 1. Eat slower. It takes at least 20 minutes for the hormones that indicate you are full to reach the signal to your brain. It is proven if you sit down, fully chew each mouthful and take 20 minutes to eat a meal your stomach will become flatter. 2. Don’t pick at food and snacks while you are cooking. So many of us walk in the door starving and eat so many snacks while the dinner is cooking, and still eat the same sized meal portion. Don’t let yourself get this hungry. Eat snacks every few hours to stop you binge eating. You always eat more than you need and too quickly when you are starving. 3. When grabbing food at lunchtime, don’t go for the large option and don’t buy a side to make up for the fact you have a smaller meal. 4. Make sure every meal is balanced and will fill you up. This will need to involve fats and proteins as these food sources keep you fuller for longer. Fats (nuts, seeds, avocados, dairy products, olive oil, coconut). Proteins (meat, fish, dairy, eggs, pulses). I can help put meal ideas together if you need. 5. Keep track of how much you are actually eating with a food diary. The tummy is the number one topic for weight loss. It’s true that it is a tough area to combat. Especially as stress and lifestyle play a big part in our cortisol levels. Plus, we typically consume way too many of the wrong types of carbs, resulting in the storage of stomach fat. There are three main points that cause stomach fat. What you eat, when you eat and your rest. 21 days give it a go! What you eat is obviously very important. 1.Foods to cut out- White & refined carbs. All breads, pastas, white rice, noodles, white potatoes, cakes, chocolates, pastries & cereals. I promise this will help. 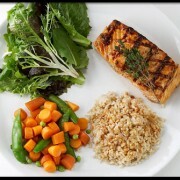 Continue to have carbs in your diet, but keep to brown rice, oats, sweet potato & quinoa. It’s hard to do, as bread, pasta etc is so readily available, but it’s very possible, and it works. 2. When you eat is also very important. a. EVERY morning have breakfast. Porridge, eggs, yogurt etc. are all good choices. b. Eat something ASAP of your workout. Ideally within 15 mins-1hr post training. During this short window, your muscles are depleted of glycogen and the cell membrane is more permeable. Basically this means the food will be broken down and stored in your muscles rather than your belly during this period. 3.Sleep! Your body needs rest. Lack of sleep causes an increase in cortisol levels, which leads to fat being stored on the belly. It also interferes with your levels of ghrelin. This is a hormone that tells your brain you are hungry. This is why on days after a late night you quite often crave carbs or never feel fully satisfied. http://www.energise-personaltraining.com/wp-content/uploads/2013/10/belly-2.jpg 321 375 energise http://www.energise-personaltraining.com/wp-content/uploads/2014/11/logo-energise.png energise2013-10-23 14:17:562014-11-09 19:13:14Fancy a smaller belly? Get the people you live with behind you. It's almost impossible to do it alone. Ask for their help in cooking smaller amounts of food. Eat slower. It takes at least 20 minutes for the hormones that indicate you are full to reach the signal to your brain. It is proven if you sit down, fully chew each mouthful and take 20 minutes to eat a meal your stomach will become flatter. Don't pick at food and snacks while you are cooking. So many of us walk in the door starving and eat so many snacks while the dinner is cooking, and still eat the same sized meal portion. Don't let yourself get this hungry. Eat snacks every few hours to stop you binge eating. You always eat more than you need and too quickly when you are starving. When grabbing food at lunchtime, don't go for the large option and don't buy a side to make up for the fact you have a smaller meal. Make sure every meal is balanced and will fill you up. This will need to involve fats and proteins as these food sources keep you fuller for longer. Fats (nuts, seeds, avocados, dairy products, olive oil, coconut). Proteins (meat, fish, dairy, eggs, pulses). I can help put meal ideas together if you need. Keep track of how much you are actually eating with a food diary. One of the most common mistakes when trying to lose weight is to completely change your day to day living.The key is not to try to change too much. Below are 10 points that can help you lose weight and increase your fitness. Pick three that you can realistically commit to and reevaluate at the end of the month. 2. Have one cheat meal a week. This is not a cheat day, but a cheat meal! If you know you are meeting friends for dinner you can relax but every other meal must be what Ali would be happy with! 3. Increase the workouts to 5 days a week of intense exercise. (These don’t all need to be with Ali). 4. Cut out fizzy drinks and added sugar to tea and coffees. 5. Cut out ALL bread, cakes and pastries. 6. Cycle or run to work instead of using public transport or your car. 7. Cut out ALL sweets, chocolate and desserts. (Except fruit). 8. Cut out all bread, pasta, white rice, potatoes and cereals and replace with sweat potatoes, brown rice, oats and quinoa. 9. No take aways, ready made meals or processed meals. Eat fresh foods from scratch. 10. Download MyFitnessPal or Calorie Counter apps and add all your exercise and food consumption daily. You can see exactly what you are eating, the break down of carbs, fats and proteins and how many calories you are allowed depending on your goal and amount of exercise you have done. “My belly” is the no 1 complaint area I hear from the majority of people I deal with. It’s true that it is a tough area to combat. Especially as stress and lifestyle play a big part in our cortisol levels, which causes fat to be stored on our stomachs. 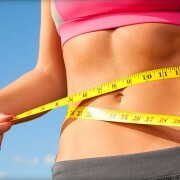 Below are 5 pointers to help reduce belly fat and give you a flatter tummy. Only one involves changing your food, the rest are all lifestyle changes. 21 days give it a go! Eat slower. It takes at least 20 minutes for the hormone Leptin, which is responsible for telling your brain you are full to register. Sit down, and consciously chew each mouthful before you take the next bite. This will reduce bloating, you will feel full when you are actually full, not 20 mins later when you are feeling sleepy at your desk, and you will end up eating less. Cut out refined carbs. Breads, pastries, cakes, sweets and chocolates. No way round this. These foods go straight on the belly. Get an extra 30 mins a night sleep. Lack of sleep causes an increase in cortisol levels which cause fat to be stored on the belly. It also interferes with your levels of ghrelin, which is a hormone that tells your brain you are hungry. This is why on days after a late night you quite often crave carbs or never feel fully satisfied. Drink plenty of water. 2 litres a day is the recommended amount. If you don’t like plain water, add squash or try green or herbal teas. Don’t eat just before you go to bed. Make sure you have finished your last meal 90 mins -2 hours before you head off to bed. Ok so last time the topic was excess insulin and how this affects you and your fat storage. This week I am taking about how the hormone cortisol affects your body. When I first meet clients I have an initial consultation with them where I get them to fill in a lifestyle questionnaire. Some of the questions relate to stress and 90% of people state they feel they are under stress, and typically work related. 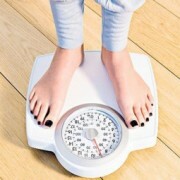 Many people associate being under stress with losing weight. For example many brides to be say one of the reason they have lost weight is the stress of the wedding, where actually it’s because they have been dieting like crazy at the thought of being in a dress in front of everyone! During periods of stress three main hormones are released, the two most common are Adrenaline and Cortisol. Adrenaline draws on your fat stores for energy (which is great), whereas cortisol draws on our muscle tissue for energy (not so good as we need muscle to keep our metabolism high). The third hormone is NYP. NYP decreases your metabolic rate, increases your belly fat and increases your appetite for sugary and carb rich food (comfort food). To find out if you suffer from excess cortisol, see how many of the below apply to you. If you find yourself ticking 8 or more it looks like this is you. · Sleeping enough or not enough effects the release of appetite releasing hormones, Ghrelin (appetite enhancing) and leptin (appetite curbing). Not getting your 7-8 hours, reduces Leptin release and increases ghrelin, therefore leaving you feeling constantly hungry. 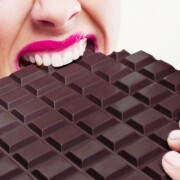 · Not only do you find yourself hungrier, but we also tend to crave high sugar, high calorie, carb heavy foods. Many studies have been done to look at patients doing the same amount of exercise and following the same diet, but one group has only 5 hours sleep a night and the second group has 7-8 hours. The sleep deprived group always come out with a higher body fat percentage. Give it a go, see if you can sleep yourself thin. If you are off to the slopes this winter it’s important to get your body ready. People tend to forget that zooming down the slopes for hours a day, 7 days a week can be much more than what your body is used to. Following the exercises below will not only help you enjoy the slopes much more, but you will not ache as much (or at all) and will protect yourself from injury. Many accidents happen because your legs fatigue and you wipe out. To really enjoy the snow, make the most of the slopes and protect yourself you will need good overall body strength but particularly legs and core. Lunge walk with rotation. Lunge walk 10 steps and rotate over the leading leg and repeat. Between each step do an extra lunge to really work the quadriceps. Plank- The good old plank. A great exercise for core strength. Hold for 1 minute. To make this exercise harder, lift 1 foot off the ground for 10 seconds and alternate legs. Do all these exercises in order and repeat the sequence. Try to do them 2-3 times a week for the weeks leading up to your holiday. One of the reasons people ache so much the next day is they forget to stretch. Make time to stretch for 10 minutes at the end of every day. Enjoy the snow, it sounds like the European snow is amazing this year. Do you suffer from belly fat, love handles or bingo wings? This week I am talking about insulin. I have written about insulin many times before so instead of repeating myself just have a read of some of my other blogs on my website www.energise-personaltraining.com. In short, insulin is released to regulate our blood sugar levels when we consume carbohydrates. The broken down carbs (sugars) are then stored in our muscles/ organs and unfortunately our fat cells. If you tick yes to 9 or more you are definitely suffering from excess insulin. Plus in general if you struggle to lose weight from the love handles, stomach and back of arms this is a sign of excess insulin. · Consuming too many carbs, especially nutrient poor carbs, such as processed foods, sugary drinks, foods containing high fructose corn syrup, packaged low fat foods and artificial sweeteners. 1. Cut out processed foods, sugary drinks, packaged low fat foods such as yoghurts, sweets, white carbs- pasta, rice, breads and pastries. Cut them all out completely for 21 days and see what a difference this makes. 4. Make sure you are exercising at least 3 times a week if not 5. Make all these changes for 21 days and I will guarantee you will lose body fat in all these areas. Other improvements will include, better sleep patterns, reduction in cellulite, improved skin, improved energy levels throughout the day and better control of your hunger and sugar cravings. http://www.energise-personaltraining.com/wp-content/uploads/2012/01/bingo-wing.jpeg 183 275 energise http://www.energise-personaltraining.com/wp-content/uploads/2014/11/logo-energise.png energise2012-01-18 18:30:072014-11-09 19:21:25Do you suffer from belly fat, love handles or bingo wings?